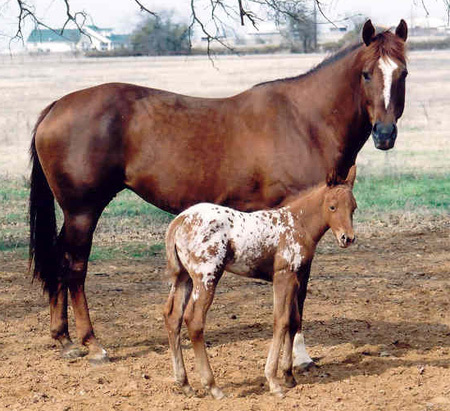 Pictured February 18, 2004 with her Charicature filly. This big, beautiful, mare was never shown due to injury. She has produced 2 ApHC foals in addition to this spectacular 2004 Charicature filly, both have had success in the show ring. 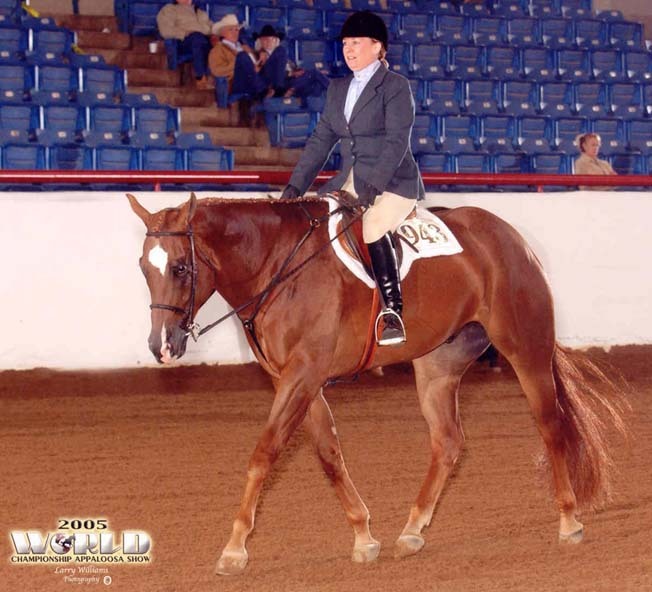 ROM Hunter Under Saddle, National Top 10 Hunter Under Saddle. 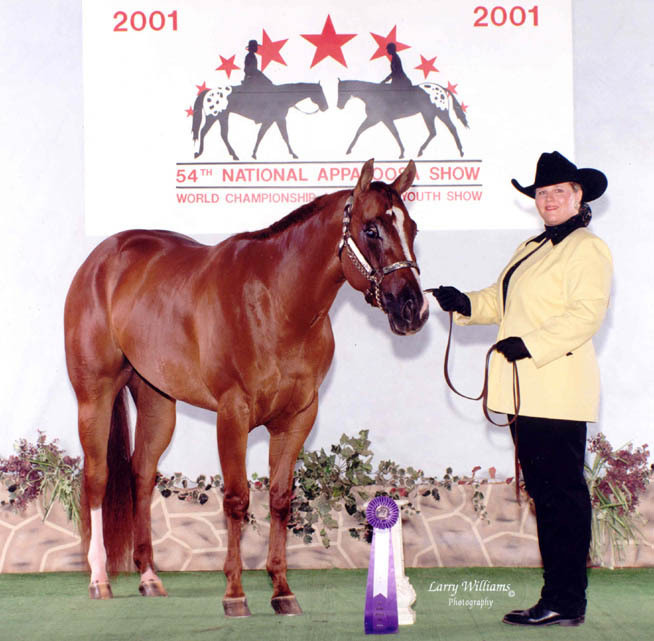 Bred to Invitational for a 2004 foal.